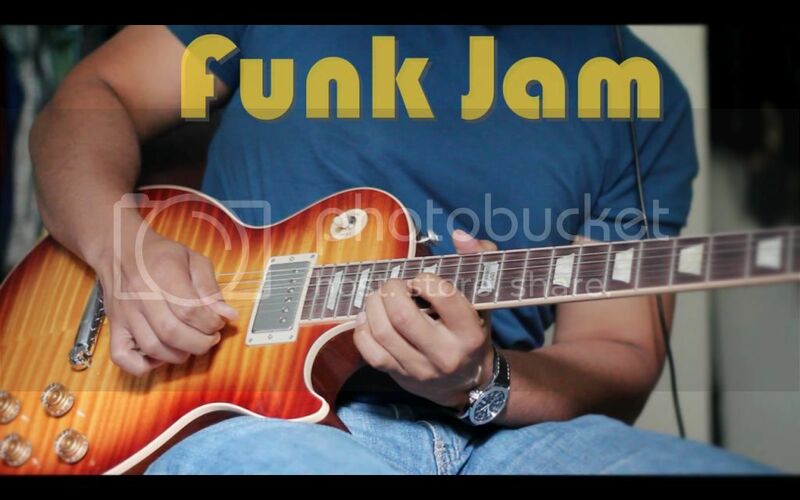 Here is a Jam I recorded today over a funk back track using my new Les Paul Standard Plus 2014 and my Lonestar Classic. Click on the picture to watch the video! Last edited by 0rpheus on Wed Aug 20, 2014 11:54 am, edited 1 time in total. Nice technique but the guitar needs to be louder with less delay and reverb, it sounds like you're playing in a different room. Yeah, I noticed. When listen with a set of speakers it sounds ok. But yeah next time I'll try to not hard pan the guitar. I fixed the audio. Hope you guys enjoy it!